Dubai, United Arab Emirates, Nov. 28, 2018 – For the first time ever, Pringles® Arabia has launched a special Limited Edition Can to commemorate the spirit of 47th UAE National Day. Known for its fresh and novel flavours, Pringles is offering snackers a chance to collect limited edition cans and celebrate the culture and heritage of UAE over the upcoming long weekend. The special limited edition can is innovatively designed, giving an illusion of the can being wrapped with the beautiful UAE national flag. Conveying the message “One Heart.. One Home”, Pringles reaches out to the millions of people in the UAE who have embraced the country as their home and the local Emiratis who have helped all communities come together as one union. To grab the attention of the snackers, a spectacular Pringles display in the iconic shape of Burj Khalifa has been set up at select supermarkets like Carrefour Saqr, Carrefour Ibn Batuta, Lulu Barsha, Carrefour Ajman, Union Corp Barsha, Sharjah Coop Halwan, Aswaaq Warqaa and Choitram DIP. 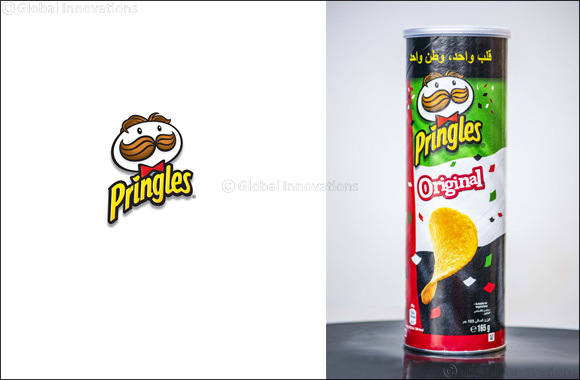 This special limited edition of Pringles is available across most of the supermarkets in the UAE.